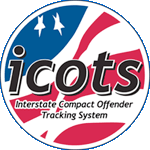 ICOTS is a tool used to process Interstate Compact business, track offender movement and facilitate communication between states on Compact cases. ICOTS is not designed to replace a state’s offender or case management system. Once submitted, ALL data is saved and maintained in ICOTS and displayed in the respective activities (PDF forms) and/or the offender profiles. PDF forms can be dynamically generated from ICOTS activities. This means that data related to the location of the offender or the compact designee at the time the form is generated shows the latest and most current information. Other information, specific to the activity itself, remains constant. For example, when a Transfer Request is submitted, an address is included. Should the offender's address change and be updated in the ICOTS record (via subsequent activity or directly on the offender's profile,) the PDF generated will reflect the changed or current address/location of the offender. However, this does not mean the original address is overwritten. Historical address information can be found on the offender's profile under the address tab or in a detailed audit report that may be requested by your state's Commissioner. States who wish to maintain information as it appears when submitted, should develop a process for saving those forms in their state’s proprietary case management system.